The third card I have made so far using an image from the DigiStamp Boutique 'Funky Monkey' set. 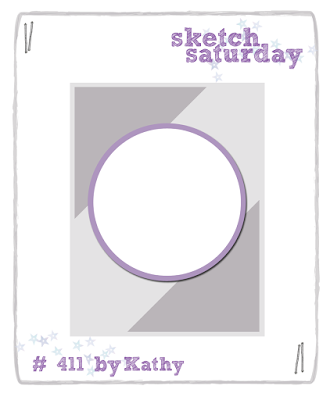 This one took inspiration from a recent Sweet Sketch Wednesday challenge. Never made one of these before and sewing in the frame was difficult! Another monkey from the DigiStamp Boutique set. Thought this time I would make an exam congrats card with 'Clever Monkey'. Again, inspiration for the card came from an old RetroSketches challenge. I bought the new Funky Monkey set from DigiStamp Boutique the other week and got them out to play with recently. This is the first card I made using 'hey there' monkey. I took inspiration for the layout from a recent RetroSketches challenge (keep doing sketches after the date of the challenge at the moment- will catch up eventually!). The background is a bit different for me- made up using Stamplorations stamps and distress inks. Notice the mistake I made stamping the top???? I got this valentine's image from DigiStamp Boutique a long time ago and had never used it until now (I don't really have call for Valentine's cards- lol!). But I wanted to test it out on a simple, but bright card. 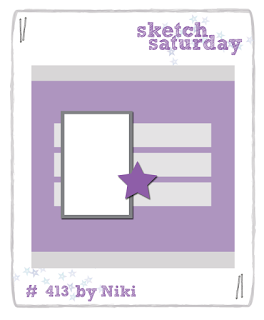 This weeks Sketch Saturday layout was designed by Niki and our sponsor is The Paper Shelter. I have used the super image 'Soccer Star' on my card along with Papermania 'Spots and Stripes' Christmas papers! Hope you are inspired to join in. Finally got the motivation to finish this summer shawl (4 ply wool and so hopefully just right for a summer evening when the sun ahs gone in). An impressive 160cm across at it's widest! A baby blanket (actually made this a while ago but all my friends had baby boys and so this was redundant). If you are interested it's Fridays 9:30-11:30am Bentley Heath Community Centre. Lots of food (cakes and savouries) and plants as well as craft. Maybe it will inspire you to check out (or join) a Country Market near you? Nothing like a cow, sheep and pig to wish you congratulations is there???! As you might have guessed, the images are from DigiStamp Boutique and I have used my favourite NitWit papers (see the chickens in the background?). I made this fun, colourful card using the shoe digi this month. I treated myself to some more patterned papers the other day when I was in the Works (they do quite a good range now, don't they?). I made this card using a LoTV image. I wanted to make my brother something for his new flat for his birthday. Not sure he has invested in any 'soft furnishings' and so hopefully these will brighten up his sofa. Two cushions and a large version of the 'owl you need' sewing buddy to be a 'owl you need' sofa buddy! And Mr Owl on his own without any extra bits stored away. The black and white fabric was from IKEA while the rest was bits and pieces I had plus an old duvet cover I cut up. The cushion covers are 'envelop' style with buttons to join the opening on the back. This weeks Sketch Saturday layout was designed by Kathy and our sponsor is StarStampz. I have used the super image 'My Sweet Rose' along with some papers I got from the Works and some hand made flowers. You Gnome me so Well! Sally-Ann at DigiStamp Boutique was kind enough to offer a Bank Holiday discount to everyone last weekend. I used the opportunity to get some new digis of course! Not sure how I missed this super gnome set when it was first released but I have it now! I made this card using the Mojo Monday layout. I loved this image and when I saw it was on offer before Christmas, in the LoTV discontinued sell off, I just had to buy it. So cute and I think could be suitable for a few different occasions.